Looking for a Real Estate Professional in Riverside, Corona, Norco, Temecula, Murrieta, Rancho Cucamonga or any surrounding areas in Inland Empire or Orange County California? Then you should give Realtor Michael Marchena a call. 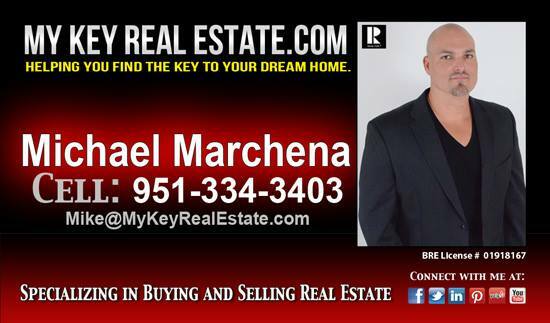 If your are looking to sell your home Realtor Michael Marchena will guide you every step of the wary. It would be my pleasure to assist you with your Real Estate needs contact me today to schedule a free consultation. Advertise your Business on RememberTheComsumer.com Copyright © 2011. All Rights Reserved. Designed by AMP IT UP MEDIA.